Tod Mattox demonstrates a highly competitive one-on-one drill that can serve multiple purposes. 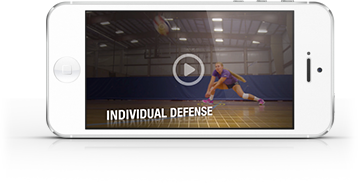 Use it in your gym to work on ball control, competitiveness and getting your best players a lot of reps, or expand the court space and add a second contact to use it at tryouts to determine the best athletes in the gym! Watch to see how it works.